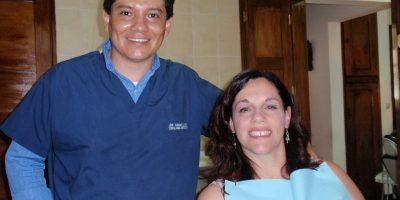 In recent years, Guatemala has become known as a first class destination for those seeking high-quality, affordable dental care. In North America and Europe, families are concerned with the high cost of dental procedures. Thanks to instantly accessible internet resources, they can save thousands of dollars by taking advantage of medical and dental options in Central America. Joy and Don were facing some routine dental procedures that would have been terribly expensive back home in Indiana. They began searching the internet for a more economical solution for their treatment plan, without sacrificing high-quality materials and personal care. 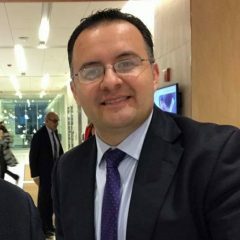 They consulted with medical agents in several different countries before determining that Guatemala was their best choice. Together with the kids and their grandpa, they flew to GUA, knowing that they had dental appointments and all the surrounding details set up for them in advance. Having an indulgent spa-dental vacation, without the children, was Lilah’s preference of a treatment plan. She was able to enjoy massages and shopping in between root canals and lab work delivery. Within seven days, the pain was gone, her smile was glowing, and her suitcase was stuffed with textiles and souvenirs for all of her family and friends. The entire budget was still $3000 less than what her hometown dentist estimated. On the other side of the world, John is a civil engineer who has been working with the US government in Afghanistan for 15 years. 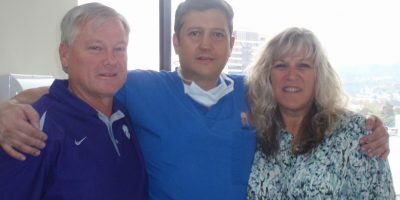 John had wanted dental implants for a few years, but the cost was out of reach for him, plus he would need several other costly dental treatments to maintain his long-term dental health. When it took him 10 days to get to Dubai for an “emergency” dental infection, John knew he needed to get all of his dental work done both quickly and economically. Excellent service, sensible prices and the opportunity to recover in an attractive tourist destination like Guatemala was exactly what he was looking for. 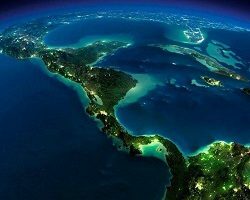 Closer to home, Sam was on his sailboat in Rio Dulce, on the Caribbean Coast of Guatemala, enjoying the care-free life of a live-aboard cruiser. That is, until the debilitating pain of a dental infection sent him running for the best dentist he could find. Through his medical agent, Sam got a bus ticket, hotel room and dental appointment at an ultra-modern downtown clinic within 24 hours, paying ¼ of what he would in the United States. Other dental patients are already traveling in Guatemala, marveling at the architectural monuments, enchanting cultural events, natural wonders and the genuine kindness of the local residents. Denise was enjoying a relaxing holiday at Lake Atitlan when she discovered that she could get new dentures custom-made and perfectly fitted for her here in Guatemala. The old ones were worn out and uncomfortable, so it was a pleasant surprise to buy high-quality new dentures in Antigua at a price she could afford. Visitors to Guatemala can now return home with more than snapshots and T-shirts. Show off a dazzling new smile you can be proud of. 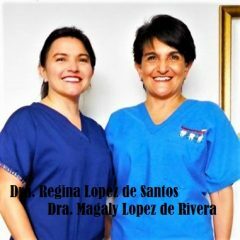 For the emergency care you need, or an entire prosthodontic reconstruction, Guatemala offers dental professionals with the skills and experience to make it happen within both your budget and your itinerary.